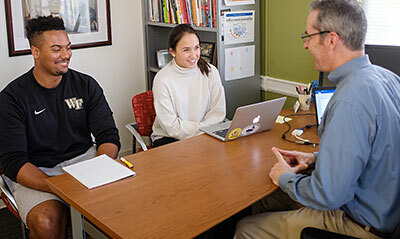 The Health and Exercise Science (HES) Department at Wake Forest University has more room to stretch and grow, thanks to a new addition to the Worrell Professional Center. 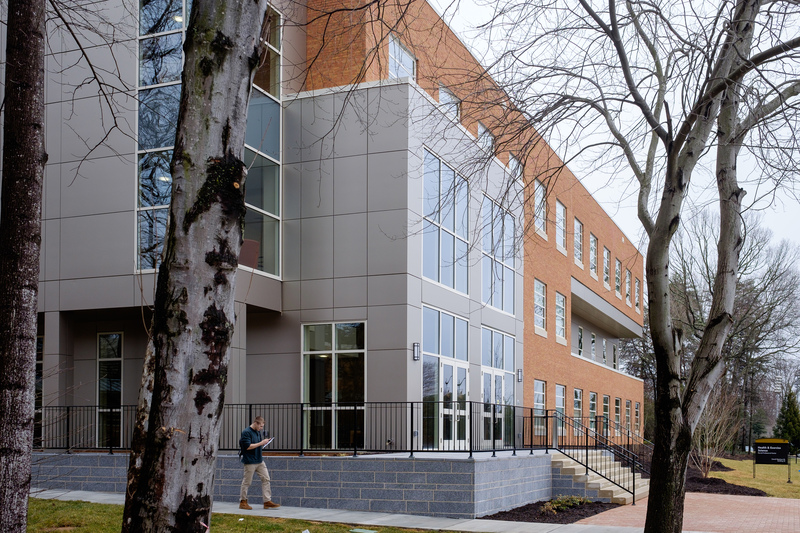 The 29,000-square-foot addition, which opened this semester, houses state-of-the-art research space, classrooms, and academic and administrative offices. The facility includes a two-story entry into the HES suite at the ground floor alongside Carroll Weathers Drive, making it easily accessible for students, faculty, staff and visitors. HES department chair Michael Berry said faculty input into the building’s design was integral in developing the collaborative space. 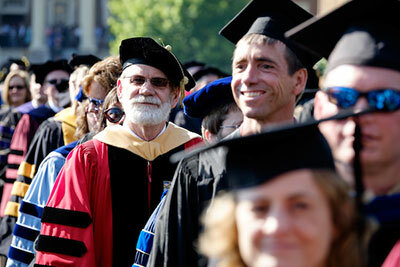 HES professor Pete Brubaker teaches first-year graduate students in the cardiovascular lab. 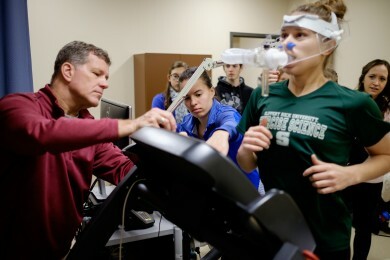 Natalie DiCicco, in green, undergoes a cardio test. The functional aspects include four dedicated classrooms and modern lab spaces for the 150 HES majors and 18 graduate students. Students also now have a lounge and comfortable living room-style spaces perfect for studying or socializing. The faculty who lead research teams – many of which are nationally renowned – also have dedicated lab space whereas before labs were shared between teaching and scholarship. Though the flow of the building is separate from the law school, the HES wing is connected to the existing Worrell building through an interior hallway. 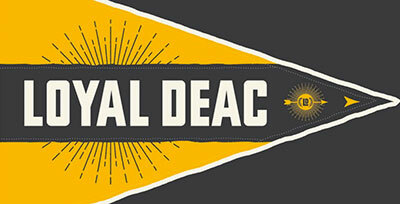 McCreary Field House, the new indoor practice facility for Demon Deacon athletics, has been dedicated. 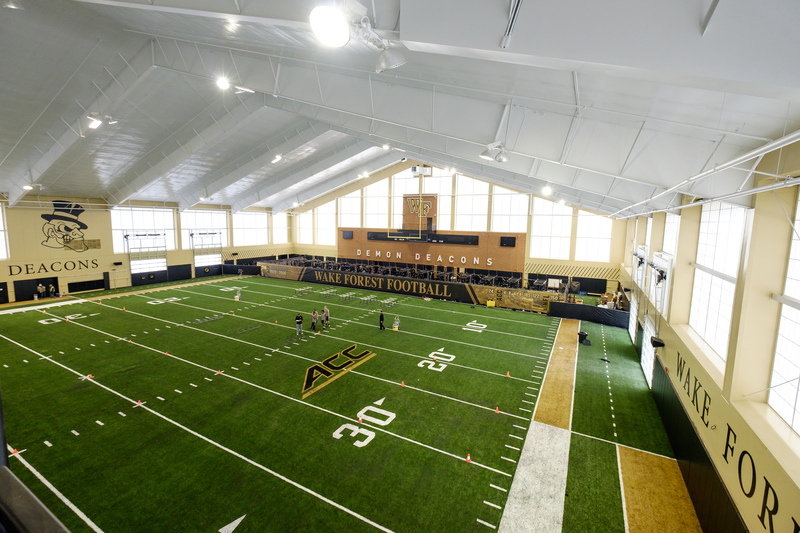 The 80,000-square foot structure features a 120-yard football field and weightlifting facilities for the Deacon football team and is designed to benefit all 18 Wake Forest athletic programs. It will provide an area for teams to train year-round regardless of the weather conditions. The Sutton Center, the first of three planned phases to transform the historic W. N. Reynolds Gym into a dynamic hub for campus-wide wellbeing, was recently opened. The two-story addition to Reynolds Gym will provide 46,000 square feet of flexible space for fitness programming and a venue for both academic and social gatherings. 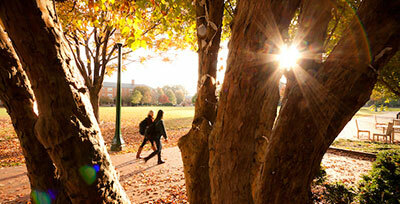 Ashley Hamati, a senior HES major from Jonesborough, Tenn., agrees about the anatomy lab. While the HES space was being built, other areas within Worrell were also under renovation, including approximately 9,000 square feet on two floors to create new academic space and the Law Commons. The renovations for HES and the Law School were funded in part through donations to Wake Will: The Campaign for Wake Forest.